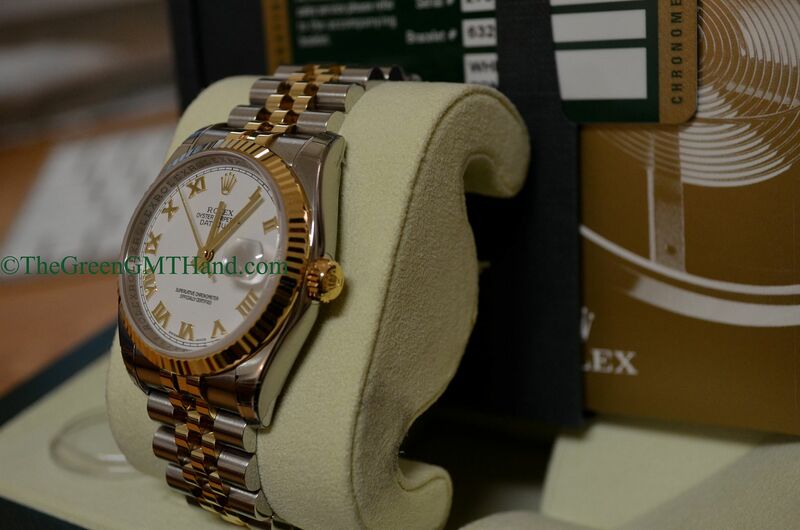 This brand new unworn factory sealed Z serial Rolex 116233 two tone yellow gold and stainless Datejust was purchased from an USA authorized dealer. 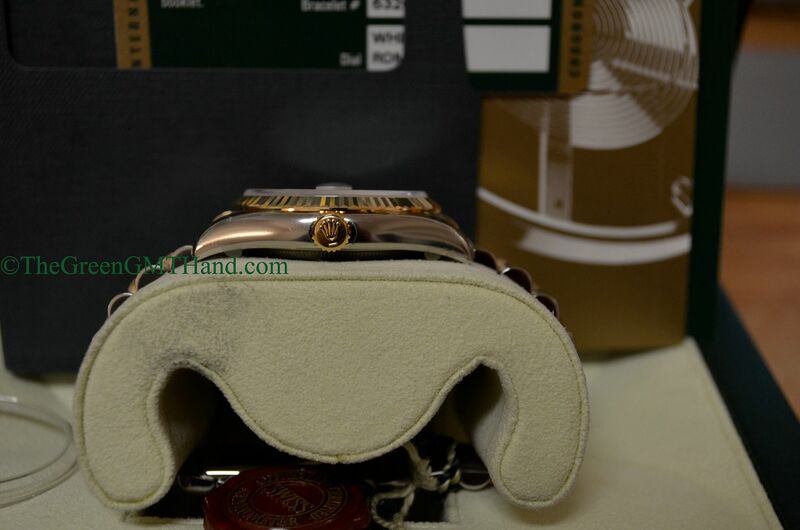 It features a yellow gold fluted bezel and yellow gold and stainless two tone jubilee bracelet with new hidden clasp. 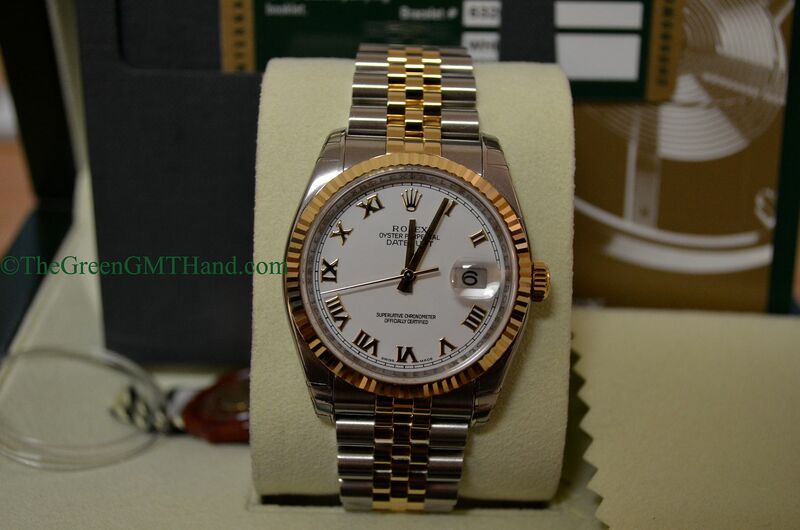 At 36mm, it is the same size as the 116200 stainless steel Datejust. The case houses a caliber 3135 Rolex movement upgraded with blue parachrom antimagnetic hairspring. Currently, the two tone yellow gold and steel Datejust comes in either the yellow gold smooth bezel (model 116203) or yellow gold fluted bezel (model 116233 as seen). These two models come in two recently updated bracelet options, and the jubilee on this particular 116233 has been updated. While the differences are slight, the reference numbers have changed. The two tone oyster bracelet is reference 72603 with solid yellow gold middle links and an upgraded clasp with easy link comfort adjustment. 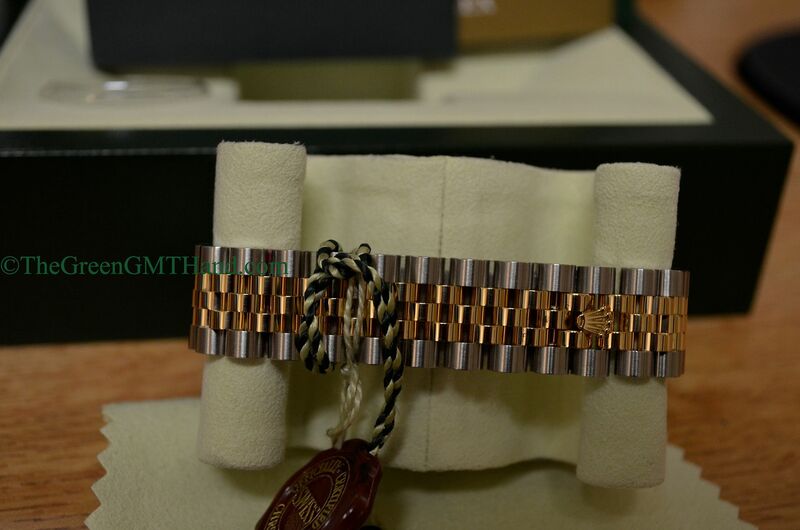 The two tone jubilee bracelet is reference 63603, and features solid yellow gold middle links as well. There are a variety of dial options such as the white roman seen below, but factory also comes with diamond options and mother of pearl/meteorite dials as well. 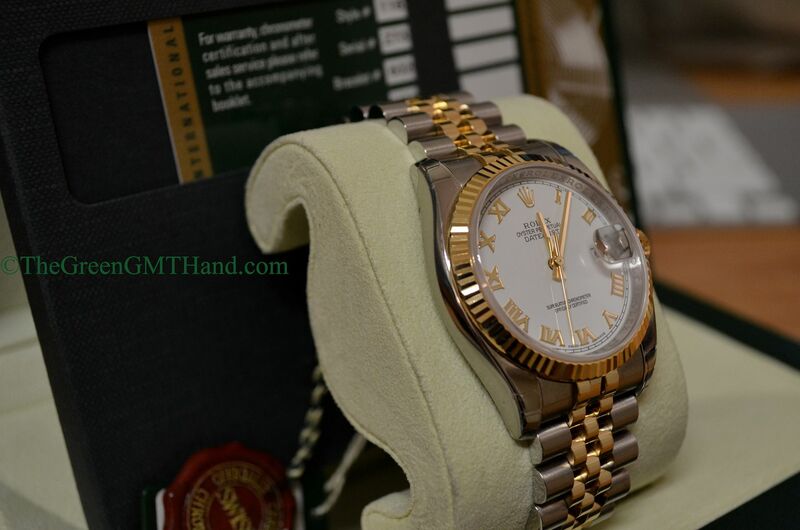 Rolex has added further exotic dials such as the MOP dream and gold crystal dials. 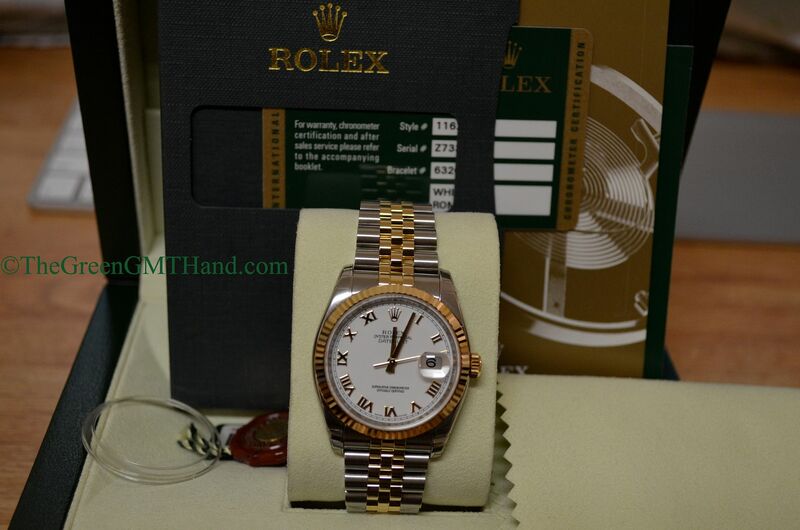 The bevy of dial, bracelet, and bezel options make this two tone Rolex 116233 Datejust extremely popular among both male and female buyers. We SOLD and delivered this to our buyer completely sealed in original factory protective plastics, wrapped with original green serial number and red chronometer tag, and with the original boxes, warranty card, and manuals.